A perfect basecamp for exploring Historic Downtown Talkeetna, Alaska! April 20, 2019 – We are not yet open for the season. We will keep the answering machine and this message updated as to anticipated opening dates. 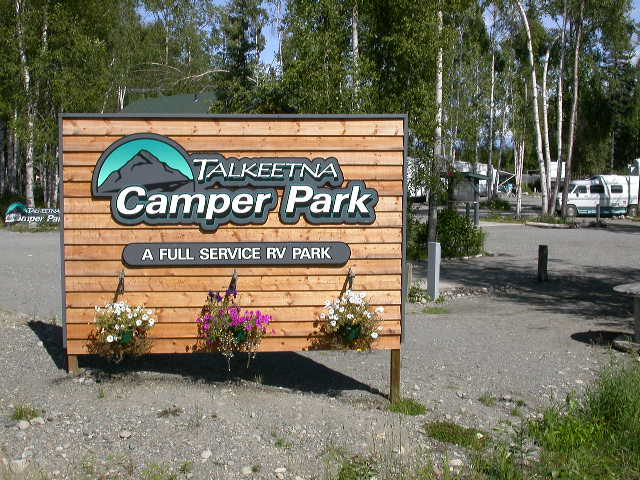 Welcome to the Talkeetna Camper Park – a full service RV campground in the quaint town of Talkeetna, Alaska and in the shadow of Mount Denali. Open April (after the snowmelt) – October (until snowfall). Talkeetna Camper Park is easy to find. Look to your right to find our sign right next to the road into town.